Rudolf Balloon Race - Simple Physics Fun! 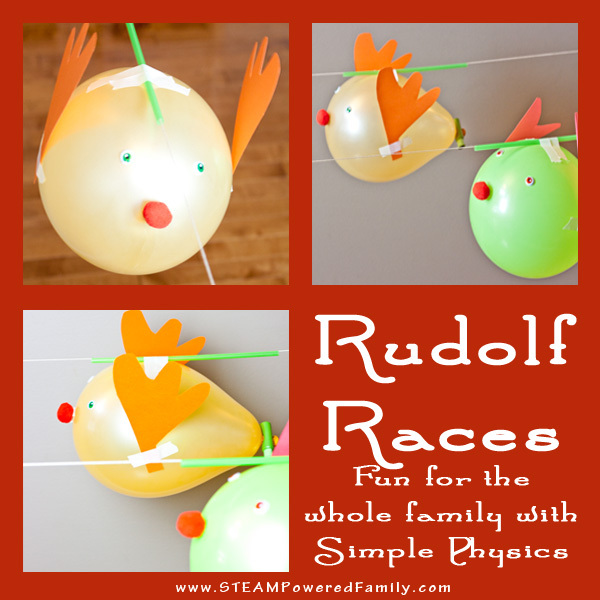 Rudolf Balloon Race – Simple Physics Fun! 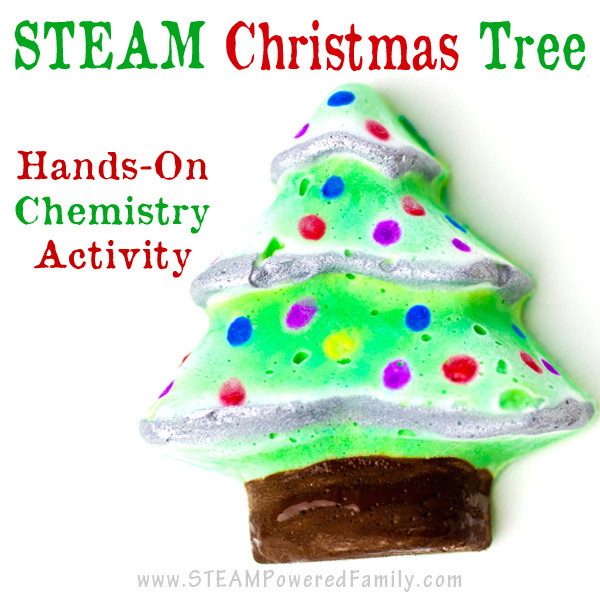 Christmas is such a great time to have some fun with hands-on learning. Kids are so enthusiastic, with energy through the roof during the holidays, so put that energy into some fun learning! This balloon race activity is perfect for this time of year. Kids love Rudolf and people of all ages will find themselves in fits of giggles with this activity. It’s a great way to burn some energy and have some fun at your holiday gatherings, or just at home on a snowy day. Kids love balloons. They also have boundless amounts of energy at this time of year. So how can we capture their attention? A balloon race! To make it even more exciting, and a STEAM activity, we decorated our balloons up as Rudolf The Red Nosed Reindeer. Rudolf’s story has captured the hearts and minds of so many children over the years. He is the underdog that became the hero and many kids can relate to his story. And who wouldn’t want to be the one who saved Christmas? But who will win the race and save Christmas? Only doing this race challenge will give you the answer! Now I totally admit, I think our Rudolf’s look a little like a crazed character from Angry Birds, but the kids loved making them and were giggling the whole time. Embrace the silly! Embrace the giggles and fun! This activity is simple enough. All you need is some string, straws, tape, balloons and some decorations (construction paper, poms, googly eyes and glue). Once you have decorated your reindeer simply tape a straw to the top and run a string through the straw. For more details, see the article I wrote on this activity over at 123 Homeschool 4 Me. 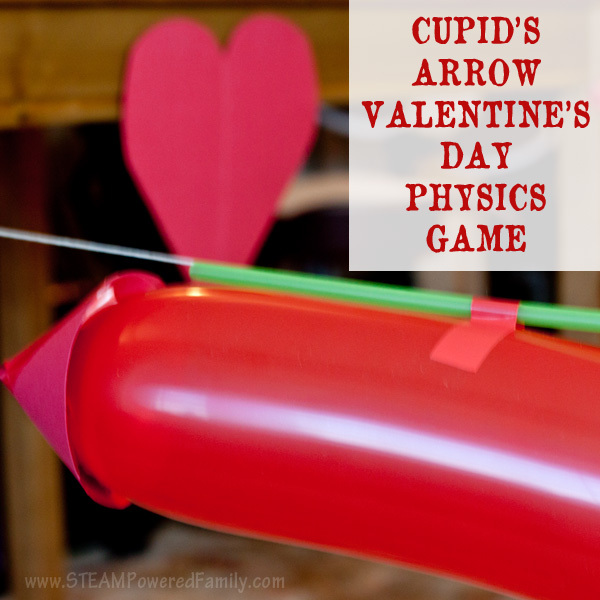 Or you can read how we really explored the physics and science behind this activity when we did a Cupid’s Arrow edition. We dove into many different ways you can do your races with this edition, including how to secure the big win! The same principles apply, just instead of making an arrow, use construction paper, pompoms and googly eyes to make a reindeer. This is the perfect activity for a holiday party or family gathering (even adults love a good balloon race). It will keep everyone laughing and having fun as the turkey is cooking. 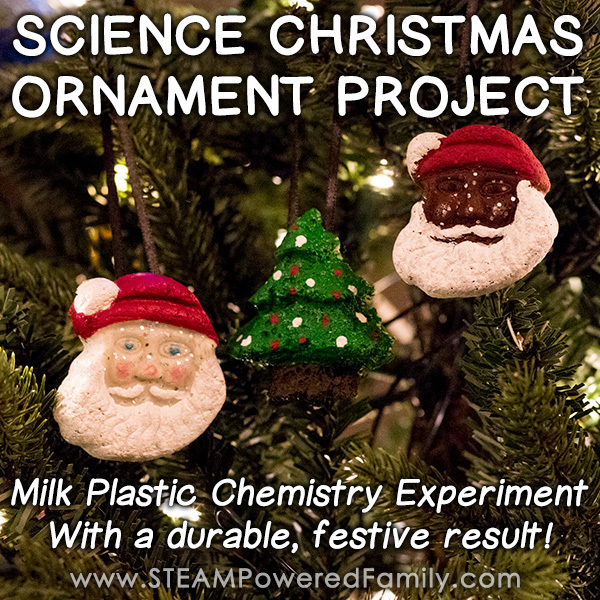 Looking for more great STEAM and STEM Activities for the holidays? 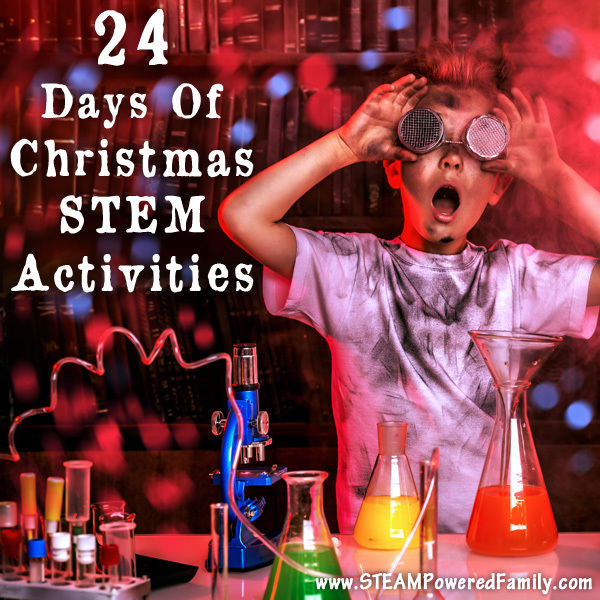 Check out my round up of 24 days of Christmas STEM, it’s packed full of great ideas.